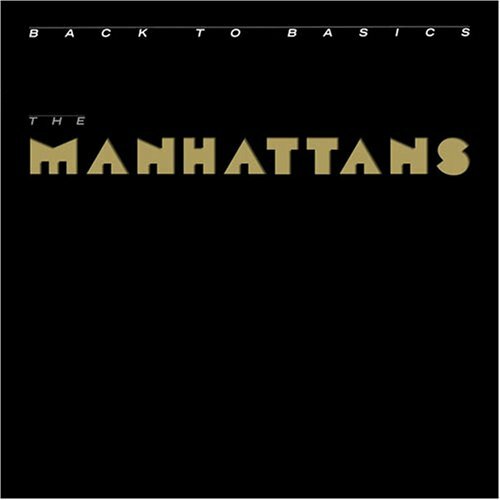 Hidden away on The Manhattans’s 1986 album Back to Basics is a rather excellent version of Bobby Womack’s ‘Mr DJ’. In this rare cut article we take a look back at this rare piece of eighties groove. For fans of classic soul, the Manhattan’s ‘Kiss and Say Goodbye‘ is a genre-defining ballad. Indeed, the group secured a reputation for their ballads, including the excellent ‘Hurt‘ and ‘Shining Star‘ (not to be confused with the Earth, Wind & Fire song of the same name). The group were formed in the sixties, but it wasn’t until the seventies that the group found mainstream fame as soulful balladeers. However, the group’s fortune’s came at personal tragedy within the ranks of the original group. In 1970 the group’s original lead singer George Smith, while on tour with the group, fell off of the truck the group were using to go between gigs. Dusting himself off, he insisted nothing was wrong. Sadly, there was: after acting strange, Smith was taken to several doctors, and it was eventually determined he has suffered a brain haemorrhage. He died on 19 December 1970, just before his 31st birthday. In spite of such a tragic loss, the rest of the Manhattans (Winfred “Blue” Lovett, Edward “Sonny” Bivins, Richard “Ricky” Taylor and Kenneth “Wally” Kelly) regrouped and hired a younger singer by the name of Gerald Alston. Alston was an incredibly talented singer who somehow combined raw vocal power with a warm smoothness. In 1973 the group would have success with ‘There’s No Me Without You’, and three years later cemented their position in soul music history with the release of ‘Kiss and Say Goodbye‘. Yet, the same year the quintet became a quartet as Richard Taylor quit. But success continued to come, in the shape of ‘Hurt‘ and ‘Shining Star‘, and other assorted greatest hits. By the time the eighties had arrived the group was in a bit of a slump. They did have a minor resurgence in 1983 with the excellent Forever By Your Side album, featuring the fantastic single ‘Crazy‘. But it was fairly short-lived, and after the so-so Too Hot To Stop album in 1985 the group were looking to do better. They has hooked up with none other than soul legend Bobby Womack to produce some new tracks for what would become their Back to Basics album. The Back to Basics album cover. A year later, the group went back into the studio to record with Womack three songs that would appear on Back to Basics. After experimenting with more dance/disco-orientating sounds this album title seemed to be an admission that the group had gone too far from their roots. Indeed, much of the album is made up of ballads (including the epic duet with Regina Belle ‘Where Did We Go Wrong?‘) but Womack also ensured one of his contributions was an uptempo number: ‘Mr DJ’. The song was originally released by Womack in 1979 on his album Roads of Life. Womack’s version is pretty good – but in the peak era of disco, it failed to make the mark it perhaps should have done. Either Womack knew the song could, if released again, do better for The Manhattans, or he needed the publishing money from The Manhattans recording it. We’ll never know for sure – but it doesn’t really matter because ‘Mr DJ’ was safe the hands of The Manhattans. Alston delivered one great vocal, supported brilliantly (as usual) from Lovett, Bivins and Kelly. Although known for their ability to churn out excellent soul ballads, Alston and the Manhattans were equally adept at producing uptempo numbers as well, as ‘Mr DJ’ proves. It also featured a classic Blue Lovett-monologue half way through (similar to his monologue at the beginning of ‘Kiss and Say Goodbye’). All in all, ‘Mr DJ’ is a great song by The Manhattans. The wider album is also pretty decent. It features contributions by Kool & The Gang members Ronald Bell (aka Khalis Bayyan), as well as a decent cover of Gladys Knight & The Pips’s ‘Neither One of Us (Wants To Be The First To Say Goodbye)‘ that once again showcases Alston as one of soul music’s best singers of all time. Yet, despite being one of their best efforts Back to Basics failed to chart. Alston left the group in 1988 to pursue a solo career at Motown, and would release two albums of fairly decent material (although like much of Motown’s late eighties albums they were featured too many synthesisers). The Manhattans recruited a new lead singer Roger Harris, recommended to them by Ron Tyson of The Temptations, and released a new album, Sweet Talk. By the nineties however both Kelly and Lovett had left the group, leaving Bivins to continue alone with new members. Eventually, Lovett and Alston rejoined forces to great their own version of The Manhattans, meaning that for the past two decades or so there have been two versions of the same group touring. Today, however, Alston is the last member of the classic line up left, and he leads a version of The Manhattans (including Dave Tyson, the brother of The Temptations’ Ron). Fortunately for us, age has not robbed Alston of any vocal power. He remains as dynamic and exciting as ever, as demonstrated on his excellent gospel album from 2015. Long may he continue to sing. If you’re looking for a really excellent and in depth history of the group see Soul Express’ multi-part history of the group.